The arthritis foundation says that more than 50 million adults suffer with arthritis. That’s one in five people. No wonder arthritis is the number-one cause of disability, and it’s not getting any better. The Centers for Disease Control and Prevention (CDC) predicts that by the year 2040, about 78 million adults will have doctor-diagnosed arthritis. Common treatments include over-the-counter pain medications, ointments, biologic drugs, and corticosteroids, as well as physical therapy and joint replacement surgery. Pain medications have side effects, though, and ointments can only do so much. Most want to put off surgery for as long as possible, and wonder…is there another alternative? Fortunately, there are some natural supplements that have shown in scientific studies to be effective against joint pain and degradation. We’ve got the top six here. The green-lipped mussel is a type of shellfish from New Zealand. Shellfish in general are rich in omega-3 fatty acids, which help reduce inflammation. You may have heard that taking fish oil is a good idea if you have arthritis, but studies suggest that Perna canaliculus, the extract from green-lipped mussel, may be even more effective. In a 2011 study, for instance, researchers gave patients with arthritis fish oil or green-lipped mussel extract. They then gathered data after four, eight, and 12 weeks of treatment. Results showed that patients treated with Perna canaliculus showed a statistically significant improvement of both pain and quality of life. Better yet, they experienced no side effects. Patients taking the fish oil, on the other hand, showed significantly less improvement and a greater level of physical discomfort caused by side effects. Other studies have shown similar results, and have found that this extract can help ease stomach discomfort. This is a big plus, as many patients with arthritis take a lot of medications that can cause stomach upset. In 2012, researchers reported that green-lipped mussel significantly improved knee joint pain, stiffness, and mobility, and that it also significantly improved gastrointestinal symptoms by 49 percent in arthritis patients. Even more good news: The New Zealand green-lipped mussel has been ranked among the top eco-friendly seafoods, according to the Blue Ocean Institute. The commonly recommended dose for easing arthritis pain is between 1,050 and 2,100 mg daily of the freeze-dried powder, or 210 mg daily of the lipid extract. This supplement is already included in many joint products, and for good reason. It’s a natural substance that’s a major component of cartilage. It also helps build connective tissues that support joints, and is involved in joint lubrication. For supplements, chondroitin is made from either the cartilage of animals, or in the laboratory. The laboratory-made version is made of chondroitin and mineral salts that help improve absorption. As we age and the body’s production of chondroitin starts to slow, so it makes sense that replenishing it might help. Studies have found this to be true. The Mayo Clinic states that chondroitin is most often used to treat osteoarthritis, particularly of the knee. The Arthritis Foundation states that it seems to enhance the “shock-absorbing” properties of collagen and protect cartilage from breakdown. When used together with glucosamine (see #3), it may actually reverse cartilage loss. The largest study on chondroitin sulfate was published in 2006, and involved 1,600 people with knee osteoarthritis. Those treated with glucosamine and chondroitin experienced significant pain relief. In a later 2010 study, the combination supplement was found to be just as effective as the prescription painkiller Celebrex (celecoxib). The commonly recommended dose of chondroitin for joint pain is 1,200 mg daily, broken up into three servings of 400 mg each. Often used together with chondroitin, glucosamine is another natural component of cartilage and lubricating joint fluid. Again, the idea is that be replenishing glucosamine, the joints will have the nutrients they need to stay healthy, or to help repair themselves. Glucosamine in supplements comes from either the shells of shellfish, or can be man-made in the laboratory. One of the most commonly used in supplements is the laboratory form “glucosamine sulfate,” which has shown in studies to help reduce inflammation and to help regenerate cartilage. The Mayo Clinic states that evidence supports the use of glucosamine sulfate to treat knee osteoarthritis. In 2015, for example, researchers compared a combined glucosamine and chondroitin supplement with celecoxib in about 600 patients with knee osteoarthritis. Patients received either 400 mg chondroitin sulfate plus 500 mg glucosamine three times a day, or 200 mg celecoxib every day for six months. At the end of the study period, researchers concluded that the two treatments were comparable in reducing pain, stiffness, joint swelling, and functional limitations. A large review of 54 studies involving 16,427 people published the same year also reported that the combination supplement along with celecoxib were all more effective than placebo in relieving the pain of arthritis as well as in improving daily function. Other studies have shown mixed results. In 2006, for example, researchers published what is referred to as the “GAIT” study, which concluded that the combination of glucosamine and chondroitin did not reduce pain effectively in patients with knee arthritis. Further analysis, however, did show that the supplement “may be effective in the subgroup of patients with moderate-to-severe knee pain.” Researchers also suggested that more research was needed, since the study size was fairly small (about 1,600 participants). A later 2010 study analysis of 10 trials including about 3,800 patients also concluded that the two natural ingredients did not reduce joint pain. At this point, we still have strong evidence that these two supplements can help relieve symptoms and preserve joint function. The best joint supplement is likely to include these ingredients as well as others, like green-lipped mussel, to increase the odds of pain relief and improved function. 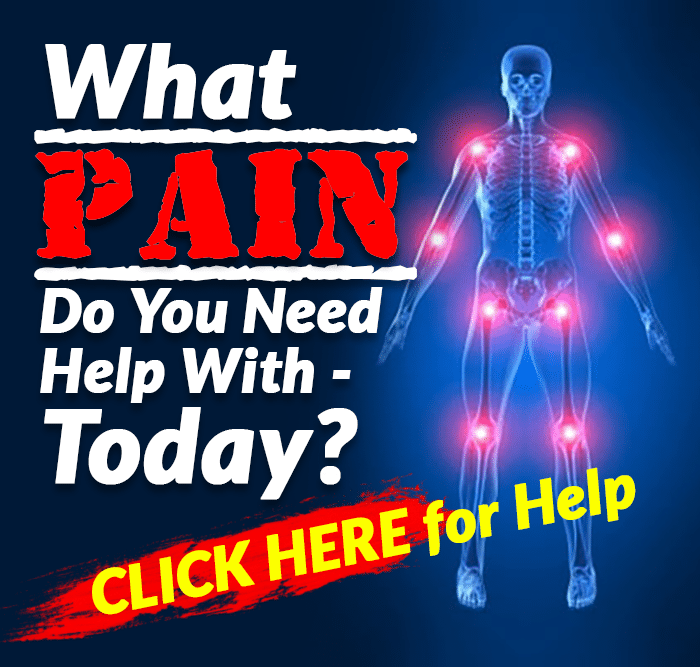 The common dose of glucosamine is 500 mg three times a day. MSM is a chemical found in fresh raw foods like fruits, vegetables, and meat. It is a good source of sulfur, a mineral that we need for a number of different bodily functions. In fact, some believe that its effectiveness in arthritis may be because it helps treat a sulfur deficiency, but it also seems to help encourage the synthesis of collagen and prevent free-radical damage. MSM is made in the laboratory using dimethyl sulfoxide (DMSO), and DMSO is made by processing pulp, the waste product of paper-making. A number of studies on MSM have shown that it seems to decrease joint inflammation, restore collagen production, and improve mobility, particularly when combined with glucosamine. Scientists believe MSM works by reducing inflammation and providing protective antioxidant effects. Sulfur is also important in making both collagen and glucosamine, which are both critical for healthy joints. In 2011, researchers conducted a review of three randomized-controlled trials on MSM. Two of them showed statistically significant reduction in joint pain compared with controls. The third showed no difference. An earlier 2006 study also found that arthritis patients taking MSM twice a day for 12 weeks experienced improved symptoms of pain and physical function. We don’t have a lot of large studies on this ingredient, but what we do have shows that MSM may be helpful for some people with arthritis. The typical dose is 1,500 mg per day. Devil’s claw (harpagophytum procumbens) is a plant that grows in the desert with miniature claw-like hooks over its fruit. The root of the plant was used in traditional medicine to treat pain and skin problems. Modern-day research shows that devil’s claw is a powerful anti-inflammatory as well as an analgesic (pain reliever), and therefore effective for all types of pain, including that caused by osteoarthritis, rheumatoid arthritis, and even headaches. According to a 2007 study review, a number of controlled trials have shown that treatment with devil’s claw relieves pain and improves mobility in people with arthritis of the knee and hip, as well as those with back pain and muscle soreness. Scientists believe that it is the compound called “harpagoside” in devil’s claw that is responsible for much of the anti-inflammatory action, but the root contains other anti-inflammatory compounds including antioxidants and antispasmodics. Devil’s claw also seems to have a direct effect on the COX-2 enzyme, suppressing it to reduce pain and inflammation in much the same way that over-the-counter and prescription pain relievers do. A 2000 study actually found that devil’s claw provided pain relief of hip and knee arthritis equal to the European anti-inflammatory drug diacerein, and with fewer side effects. The most commonly recommended dose for pain is 2,000-2,600 mg (containing 50-60 mg of harpagoside) taken three times a day with meals. Since it may increase bile production, those at risk for gallstones are advised to avoid it. Boron is a trace mineral naturally present in some foods and in the environment. Plants use it to protect plant cell walls, which is why we find it in plant-based foods. It’s present in grapes, avocados, raisins, prunes, almonds, and pecans. Scientists have found that boron is an essential nutrient for people, too, because it helps contribute to bone health. We don’t need a lot of boron to be healthy, but taking a bit more has shown in some studies to help ease the symptoms of arthritis. Scientists first discovered its potential when they found that areas of the world with higher levels of boron in the soil had fewer cases of arthritis than areas that had lower levels. Boron-rich Israel, for example, was found to have only a one percent prevalence of arthritis, whereas the U.S. had a 20 percent prevalence. People who eat boron-rich diets have also been found to be less at risk for arthritis later in life. 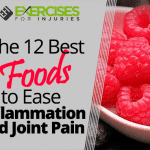 Other studies have shown that boron can reduce inflammation in the joints. In an Australian study, 50 percent of patients with osteoarthritis who took 6 mg of boron a day experienced improvements, compared to only 10 percent of those taking a placebo. In another 8-week study, patients with mild-to-medium arthritis took 6 mg of boron a day, while those with more severe cases took 12 mg a day. Average pain reduction was 62.5 percent in 4 weeks and 70.8 percent in 8 weeks in the mild-to-medium group. By 8 weeks, 67 percent had stopped using their regular pain relievers. In the severe group, average pain reduction was 47.9 percent at 4 weeks and 64.5 percent at 8 weeks, and 75 percent quit using their medications by 8 weeks. The recommended dose is up to 6 mg of boron per day, with an upper daily limit of 13 mg. If you want to overcome the aches and pains that have been keeping you from enjoying life, then check out Joint Complex 4000. Formulated with the best natural pain-relieving supplements for your joints. “Arthritis Facts,” Arthritis Foundation, http://www.arthritis.org/about-arthritis/understanding-arthritis/arthritis-statistics-facts.php. Jacek Szechinski, Marek Zawadzki, “Measurement of pain relief resulting from the administration of Perna canaliculus lipid complex PCSO-524 as compared to fish oil for treating patients who suffer from osteoarthritis of knee and/or hip joints,” Rheumatologia 2011; 49(4):244-252, https://www.termedia.pl/-Original-paper-Measurement-of-pain-relief-resulting-from-the-administration-of-Perna-canaliculus-lipid-complex-PCSO-524-as-compared-to-fish-oil-for-treating-patients-who-suffer-from-osteoarthritis-of,18,17171,0,1.html. Stephen Daniells, “Green lipped mussels may trump fish oil for joint health benefits: Study,” NutraIngredients, November 16, 2011, http://www.nutraingredients.com/Research/Green-lipped-mussels-may-trump-fish-oil-for-joint-health-benefits-Study. Coulson S., et al., “Green-lipped mussel (Perna canaliculus) extract efficacy in knee osteoarthritis and improvement in gastrointestinal dysfunction: a pilot study,” Inglammopharmacology, April 2012; 20(2):71-6, https://www.ncbi.nlm.nih.gov/pubmed/22366869. “Chondroitin Sulfate,” The Arthritis Foundation, http://www.arthritis.org/living-with-arthritis/treatments/natural/supplements-herbs/guide/chondroitin-sulfate.php. Marc C Hochberg, et al., “Combined chondroitin sulfate and glucosamine for painful knee osteoarthritis: a multicentre, randomized, double-blind, non-inferiority trial versus celecoxib,” Annals of the Rheumatic Diseases, February 13, 2015, http://ard.bmj.com/content/early/2015/01/14/annrheumdis-2014-206792.citation-tools. Chao Zeng, et al., “Effectiveness and safety of Glucosamine, chondroitin, the two in combination, or celecoxib in the treatment of osteoarthritis of the knee,” Scientific Reports, 2015, https://www.nature.com/articles/srep16827. Daniel O. Clegg, et al., “Glucosamine, Chondroitin Sulfate, and the Two in Combination for Painful Knee Osteoarthritis,” NEJM, 2006; 354:795-808, http://www.nejm.org/doi/full/10.1056/NEJMoa052771?siteid=nejm&keytype=ref&ijkey=CWQQcspVDtdCs. Wandel S, et al., “Effects of glucosamine, chondroitin, or placebo in patients with osteoarthritis of hip or knee: network meta-analysis,” BMJ, September 16, 2010; 340:c4675, https://www.ncbi.nlm.nih.gov/pubmed/20847017. Sarah Brien, et al., “Meta-Analysis of the Related Nutritional Supplements Dimethyl Sulfoxide and Methylsulfonylmethane in the Treatment of Osteoarthritis of the Knee,” Evid Based Complement Alternat Med., 2011, https://www.ncbi.nlm.nih.gov/pmc/articles/PMC3135791/. Kim LS, et al., “Efficacy of emthylsulfonylmethane (MSM) in osteoarthritis pain of the knee: a pilot clinical trial,” Osteoarthritis Cartilage, March 2006; 14(3):286-94, https://www.ncbi.nlm.nih.gov/pubmed/16309928. Grant L, et al., “Anti-inflammatory Activity of Devil’s Claw Reviewed,” Phytother Res., March 2007; 21(3):199-209, http://cms.herbalgram.org/herbclip/345/review45163.html?ts=1502826584&signature=43b0a97612e378e5118051708b9fc7ca. “Arthritis and Boron,” Progressive Health, http://www.progressivehealth.com/arthritis-boron.htm. Travers RL, et al., “Boron and arthritis: the results of a double-blind pilot study,” J Nutr Environ Med. 1990;1(2):127–132. Scorei RI, Ciofrangeanu C, Ion R, et al., “In vitro effects of calcium fructoborate upon production of inflammatory mediators by LPS-stimulated RAW 264.7 macrophages,” Biol Trace Elem Res. 2010;135(1–3):334–344. https://www.ncbi.nlm.nih.gov/pubmed/19669712.